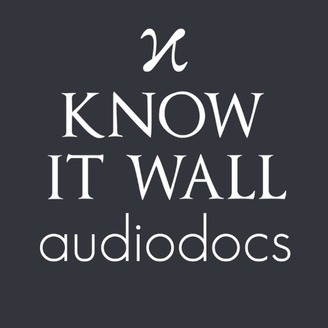 Know it Wall is a place for inquisitive minds. Let world-class researchers in humanities & sciences excite your curiosity through short audio-documentaries (audiodocs). From Stegosaurus to Shakespeare, protons to pandemics, there’s no limit to what you could encounter! 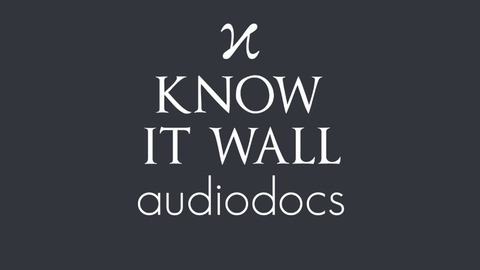 | Based at UCL and Imperial | www.knowitwall.com. How do physicists know what will happen in situations that haven't been tested? How sure can we be that physical laws are constant? Katy Clough explains how we are pushing the limits of what we know about the universe. | Narrated by Agnes Donnelly and Vidish Athavale | Music by Lee Rosevere | Katy is a postdoctoral researcher in the Astrophysics Department at Göttingen University in Germany, having recently completed her Ph.D. at King's College London. Her research involves solving the Einstein equations of gravity on supercomputers, investigating the early universe and even making black holes.